Ford's new Ranger will patrol 180 countries -- but not U.S. The new Ranger pickup offers such features as a rear-view camera system, trailer sway control and adaptive load control. 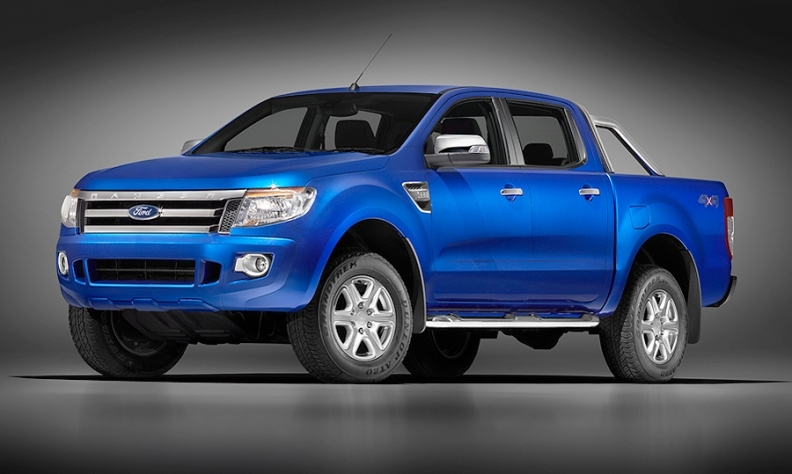 Ford Motor Co. heralded its new Ranger today as a pickup that will be sold in 180 countries. The United States won't be among them. The strategy leaves Ford on a course to be without a compact pickup in its home market beginning next year for the first time in almost three decades. The current Ranger, the fourth generation of a line launched in 1982, isn't scheduled to be replaced when it goes out of production in St. Paul, Minn., toward the end of the 2011 model year. Sales begin next summer for the pickup that made its debut today at the Australian International Motor Show in Sydney. The truck was developed by Ford and Mazda Motor Corp. on a new global compact platform and will be assembled in Argentina, South Africa and Thailand. The product development team was headquartered at Ford's facilities in Melbourne, Australia. Mazda's version, the BT-50, will be introduced tomorrow at the show. “We know pickups, so we leveraged our best expertise from around the globe to create the all-new Ford Ranger,” Derrick Kuzak, group vice president of global product development, said in a news release. The Ranger offers such features as a rear-view camera system, trailer sway control and adaptive load control. One gasoline and two diesel engines will be available. Reflecting the diverse uses of compact pickups around the world, Ford said the Ranger line will offer everything from a basic work vehicle, with interiors that can be hosed out, to models such as the yet-to-be-revealed Ranger Limited and Ranger Wildtrak. Four body styles will be available.